It is important to maintain good dental hygiene and health. 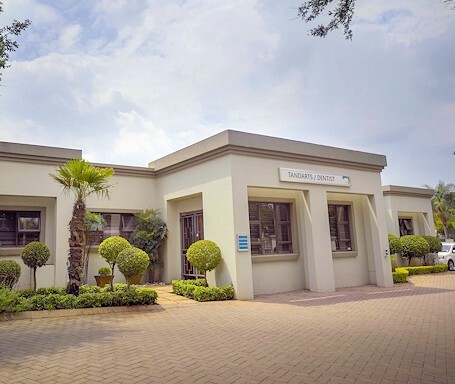 Centurion Dental Studio is a family oriented dental practice, aimed at consulting a full range of dental services to residents of Centurion(including Wierdapark, Eldoraigne and surrounding areas). Our patients are treated with a full spectrum of quality services with a view to focus on excellence. This practice has been around 38 years and continues to grow with recurring patients. Seeing that patient’s overall health is maintained with optimal dental health, we offer a vast variety of general and specialized services such as dental implants, teeth whitening and veneers. Visiting a dental surgery, ought not to be frightening experience. This is why Centurion Dental Studio strive to make patients feel relaxed and put a smile on their face. We have an on-site dental laboratory, allowing cosmetic dental work to be done fast and effective. All of our highly trained and qualified technicians, staff and dentists attributes to dental excellence.